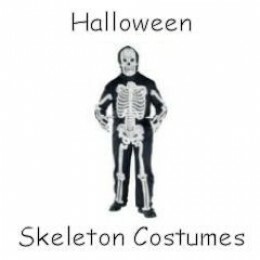 Put together or buy a Complete Skeleton Costume here, for Halloween. Here you will find skeleton costumes, shirts, gloves, masks, leggings, and socks, with skeleton bones on them to compose your own Halloween skeleton costume. Mix and match, or get the whole costume, whatever you need or want. It’s time to get your boo on; or is that bones! Do you know how many bones are in the human skeleton? Is it the same for babies and adults? The adult human skeleton consists of 206 bones. Babies are born with even more, but then some of the bones become fused together as the child continues to develop. Some sites have said that babies have 270 bones at birth; another reported human babies having as many as 350. The smallest bone is in the head, called stapes, and is part of the middle ear. Will you need to be keeping your head warm? Visibility and being able to see where one is going are also extremely important, especially on Halloween. You can see where you’re going in this skull mask. The eye area is open, and the material is wickable and breathable. This is made of a lightweight material, and a fleece lined one is also available. This mask is a skin tight design, it is made not to flap in the wind while riding a motorcycle. This skeleton mask also has the eye area open, and also covers the top of the head. The major bones of the head make up the skull. The bones in a baby’s skull fuse together as the baby grows and develops into a child. This skull head wear can be worn along or under a helmet. I like that it looks more comfortable and gives the wearer more open visibility for the eyes. This cap can also be a good choice to help keep the top of the head warmer, in cooler climates. Show off your thorax and scapula with a Skeleton shirt – From the throat to the pelvis, there are 54 bones, including the vertebrae. The rib cage consists of 24 bones with 12 on each side. Two of the ribs on each side are called floating ribs, because they don’t connect to the sternum. The heart is located behind the sternum, with more of it being to the left. The sternum is the name given to the breast bone, it is the flat bone that the ribs attach to in the chest. The vertebrae are the bone discs that the ribs attach to in the back. This white rib cage glows in the dark. This black shirt also shows the bones from the back, including the scapula. The scapula are commonly referred to as shoulder blades. The scapula attaches the humerus to the clavicle, which is also known as the collar bone. If you bring your fingers to the base of your neck, in the front, the horizontal bones that you reach are the clavicles. The baby to be takes shape in the uterus. The baby’s bones are soft when it is born. Different bones in the baby’s skull fuse together over time, and the bones become harder with time, as well.. This fun baby skeleton shirt is for the mama to be. I like that this design also has a heart on the rib cage. Although, actually the heart sits behind the rib cage, not in front of it. The baby is wearing a black hat and is holding a pumpkin. For some humor, check out the humerus shirt. Do you know what part of the body the humerus bone is in? 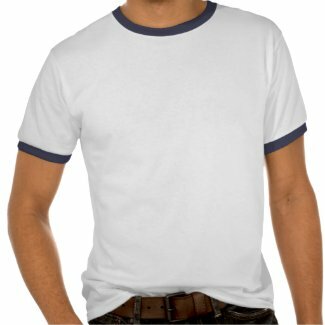 This humerus shirt can be purchased at Zazzle.com. Other unique bone shirts can be found there as well. The humerus bone is the one that is between the shoulder and elbow. Make your own skeleton shirt using a diagram and a bleach pen. Thanks to the poster on YouTube for the video tutorial below. Depending on the dyes that were used in making the shirt, will determine what color the bones will turn out to be. Let the bleach completely dry before any rinsing. Rinse by hand to get the slime of the bleach pen out. Do not do this step in the machine; you’ll have more control over it and less chance of the bleach spreading to other areas of the shirt, where it wasn’t intended. You’ll need the shirt, a model, cardboard, a rib cage and arm diagram, and a bleach pen. The ph sounds like /f/ as in fish, and the g is soft as in gel, and the e is long. It sounds like fah-lan-gees. Show off the phalanges, at the end of your arms, with Skeleton gloves. There are 54 bones in the hands. The bones of the fingers are also called metacarpals. The humerus is the bone in the upper arm. These will help keep your arms warm. The bones are white on elbow length gloves. Should your fingers be covered or showing? Some costume wearers will be in warmer states than others, and they might like the freedom of fingerless gloves. This would also be a convenience for those that need to hold something, and need to have a good grip. Do you still want to be able to get a grip? The bone design is woven in to the fabric, on these open fingered gloves. Will you be painting the nails on your phalanges for Halloween? And the hip bones are connected to the leg bones – Skeleton Leggings – There are 8 bones in the legs. The largest and strongest bone in the body is the femur, which is the upper leg bone. It is also the heaviest bone in humans. The bones on these leggings are glow in the dark. The material is 90% cotton and 10% elastane. Show off your tarsal bones with Skeleton bone socks – There are 52 bones in the feet. The finger like bones, known as toes, are called metatarsals. Did you remember that the toes are also called phalanges? What other bones are called phalanges? These socks are on the thin side, so if you need warmth, you might want to wear something under them. If you don’t want to put something together, full length costumes can be the better choice. They’re easier for some, in that everything is there. This skeleton costume for girls comes with a skirt. The bones are white and they are printed on black fabric. The bones and the crinoline type skirt are in pastels of pink, green, blue, and purple. This one for boys comes with a top hat. There is a skeleton on the hat, and a light weight vest is included. This costume for little guys comes with a vest. This jumpsuit style costume for toddlers also comes with a a hat. The vest is attached to the jumpsuit. This costume of bones is designed for older kids and it includes a mask. It is jumpsuit style, with white bones on black. This full length costume come in child sizes of Small, Medium, and Large. It is also jumpsuit style, and comes in a choice of black and white, and green bones on and black. The fabric of the costume is a thin polyester that is also stretchy. It includes the mask with hood, and shoe covers. Cheryl Paton is an artist with a positive attitude that is reflected in her work. She writes about various art subjects and techniques. She enjoys creating art to help celebrate special occasions and events. She also writes about her favorite music, movies and the products she uses and recommends. She is also a specialist in adult literacy and is a published author. See more of her articles here.